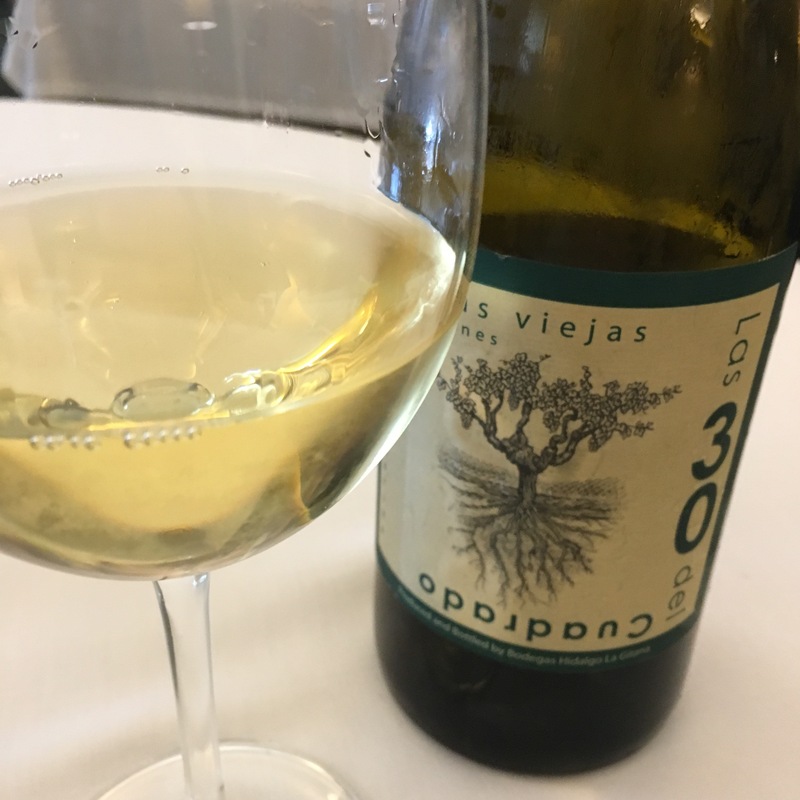 This is not an easy wine to get hold of by any means, so it was a small thrill to see it on the wine list at Surtopia, still for me Madrid’s supreme temple to all things Sanlucar. The only other time I had tried it before it was still a prototype just over a year ago, and that time in the bottle has really helped it come along. Almonds and sweet herbs on the nose and the dry/sweet flavours of almond and herbs on the palate too. Mineral and saline with those tasty mountain herbs and a fresh finish. After a little while open the aromatics and flavours grow a little more intense and become almost stewy. A really nice balance of subtle fruit and savoury. I can’t help seeing these wines as evidence in the argument about the qualities of palomino and its ability to make quality white wine. This one certainly shows that it can.